Just Jewelry by Cheryl: 20% Discount to Military Members and Spouses: "Starting today through the 4th of July, Just Jewelry by Cheryl is offering a 20% Military discount on orders for members and spouses. 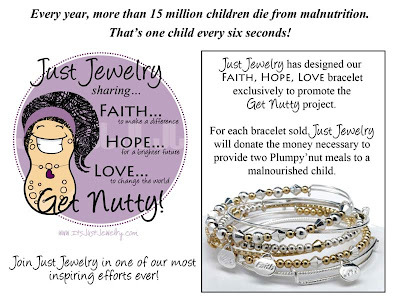 When..."
Just Jewelry is honored to partner with the Nobel Prize winning relief group Doctors Without Boarders in its mission to save children from malnutrition though the distribution of a revolutionary product called "Plumpy'nut". This ready-to-eat, vitamin enriched nutritional supplement can mean the difference between life and death for a young child. Pick up the "Faith, Hope, Love" adjustable bangle bracelet today for just $15 (Item B-7056) . 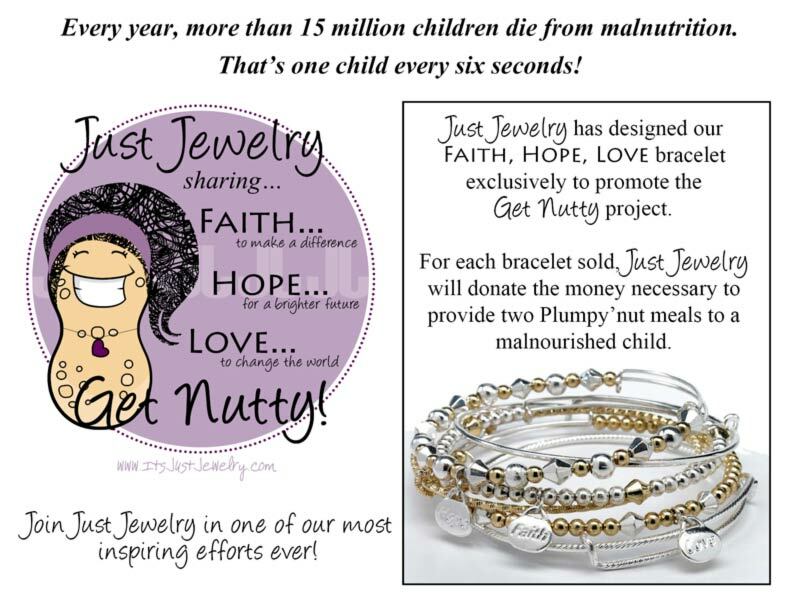 Contact me today to order yours, and help provide nutrition to those in need!